Truck mounted concrete mixer is a good choice, if you’re searching for a fast and efficient method to increase the output of concrete. 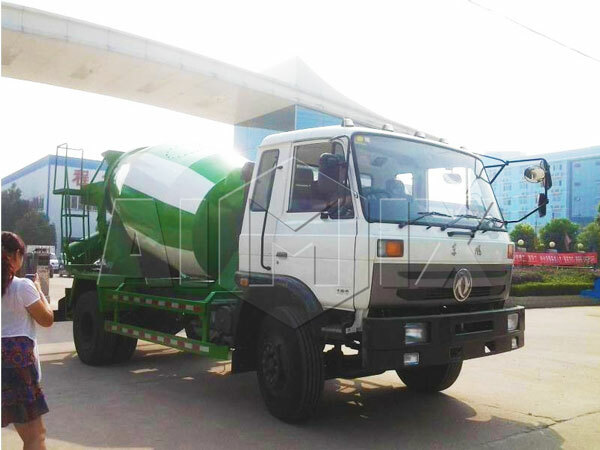 Truck mounted concrete mixers for sale can be used in many places for construction project, which could possibly be the right choice for the construction business. Truck mounted concrete mixer is a common vehicle that we could see every day on the road. With the development of construction, it is obviously to believe that purchase a good quality truck mounted concrete mixer no matter for increasing daily work or rent it to another constructor, which is a great idea. 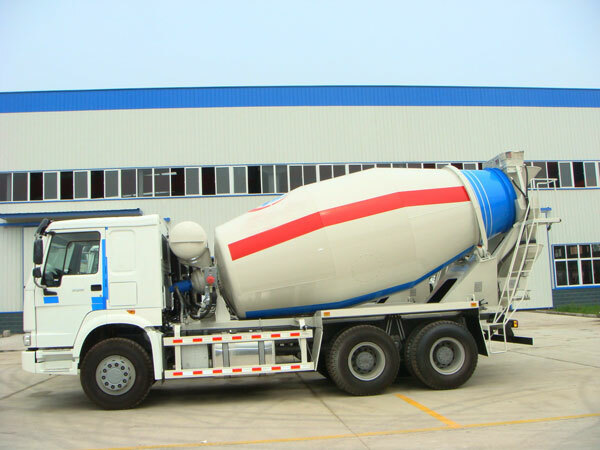 What deserve to say is that customers should choose the reputable concrete mixer truck manufacturers when you decide to buy one. 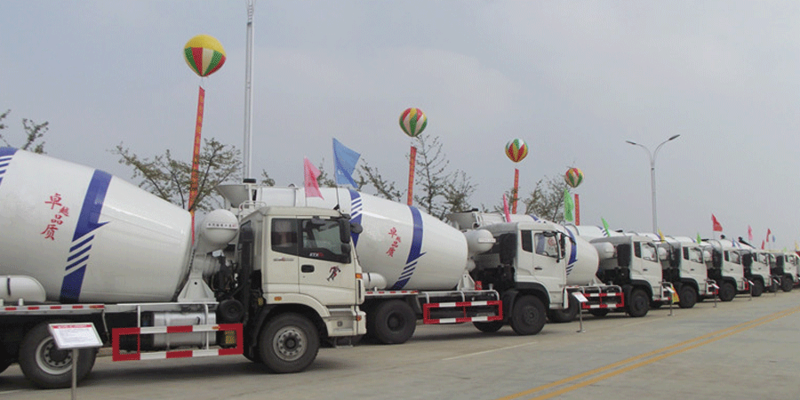 We are one of largest and most popular truck mounted concrete mixer manufacturers in china. We have exporting our trucks to more than 80 countries and areas. We have advanced technologies and professional manufacturing line. 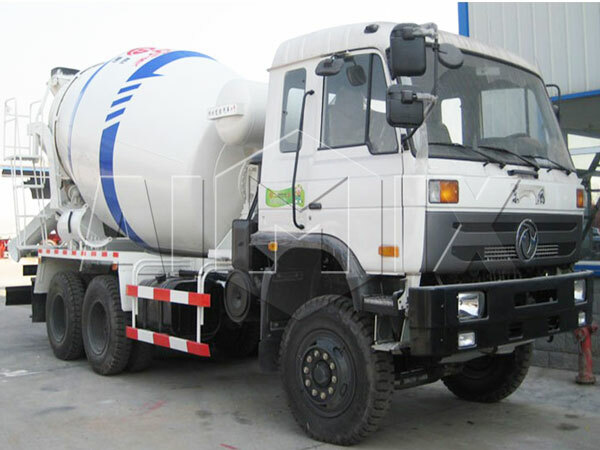 Moreover we have favorable truck mounted concrete mixer price. We also could supply components such as concrete mixing drums. Firstly, one of the greatest advantages of truck-mounted concrete mixer is that they can create concrete at many locations and any time, if it is necessary. 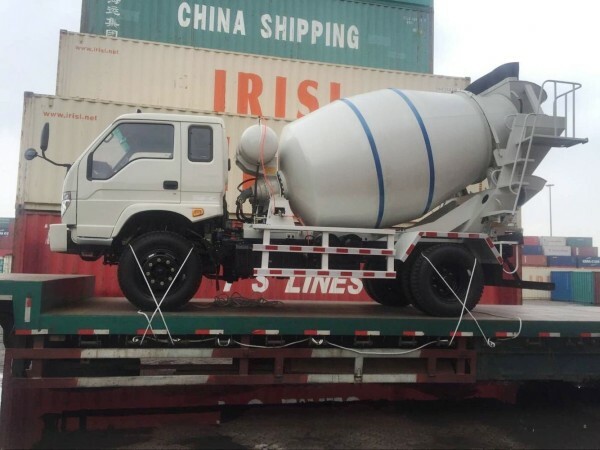 Secondly, when you have truck mounted concrete mixers sale set up correctly, it will always provide you with a consistent mix and give you exactly what you have been expecting in either good quality or quantity of concrete. 1. The hydraulic system adopts the current advanced leading products, the quality is stable and with low fault rate. 2. Various series reducer adopts advanced concrete mixing tank dedicated reducer, the quality is reliable and durable. 3. The mixing tank uses high strength wear resistant steel plate to make it durable for use. 4. 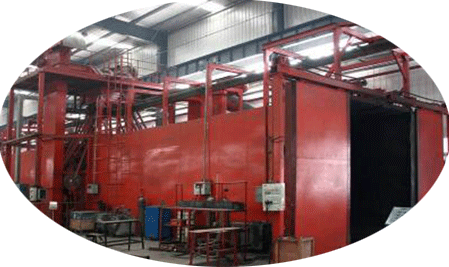 Loading capacity is very high and the structure is compact. 5. Blade design is reasonable, the unloading residual rate is low. 6. Chassis adopts rectangular steel tube with high strength and resistance to deformation. 7. Discharge groove height can be adjusted at ease. 8. Artful feeding port settings make the concrete not easy to spread out. 9. High quality paint makes the surface colorful and beautiful with strong durability at the same time. 10. Simple operation. A handle can complete centralized control of mixing tank steering, configuration is mature and reliable, the maintenance is convenient. 11. The pedals can be mounted, easy for workers to go up and down, pedals are with beautiful appearance. 12. 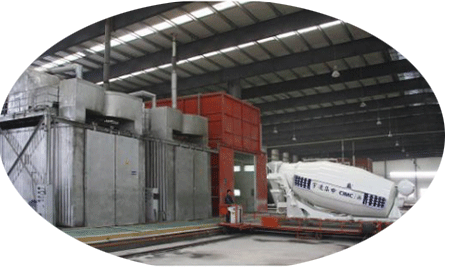 Continuous rotation in transportation makes few concrete segregation and no leakage phenomenon. 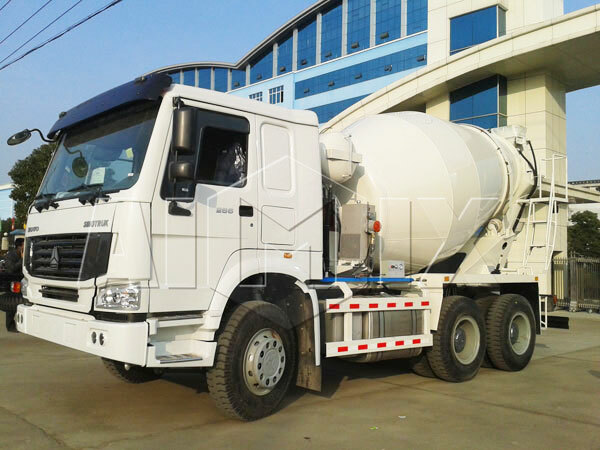 How to judge the quality of truck mounted cement mixer? A larger concrete mixer manufacturer is a warranty of qualified truck mounted concrete mixers. 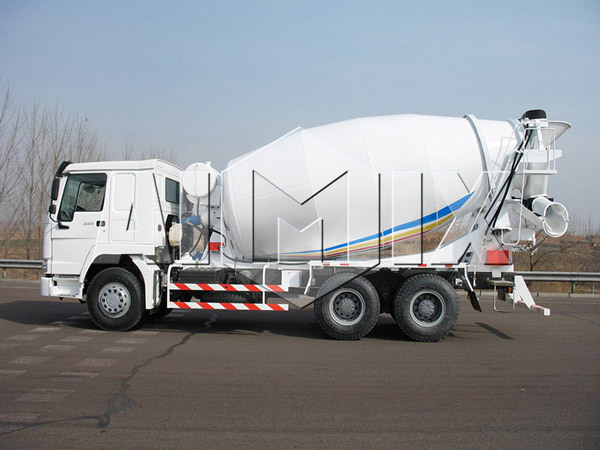 The quality must be the first factor we need to consider for the truck mounted concrete mixers for sale. If users choose improperly , the later maintenance cost will be high. 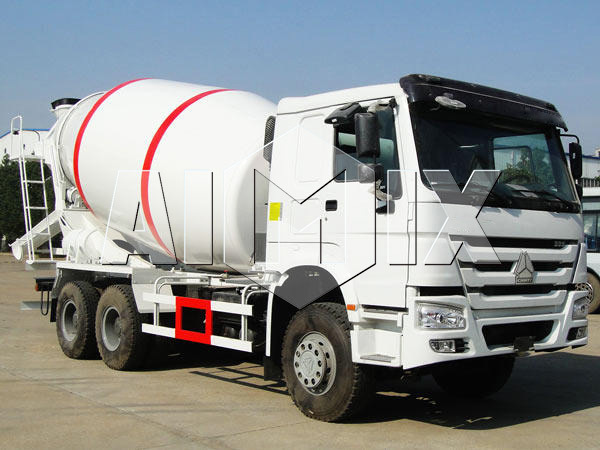 We AIMIX is one of the largest manufacturers of truck mounted concrete mixers sale in China. The truck mounted concrete mixers we provide can always meet the needs of customers. 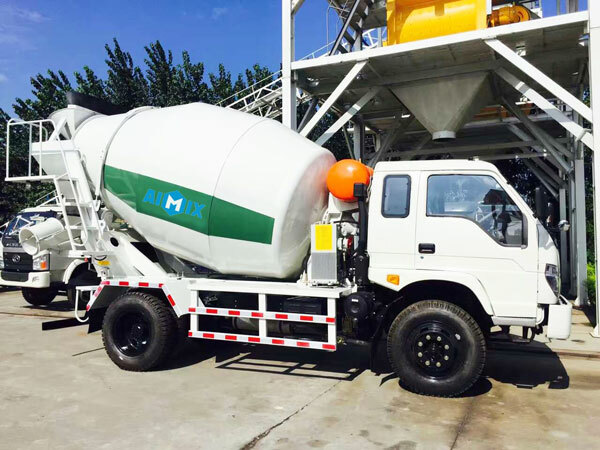 Small truck mounted concrete mixer produced in Aimix Group has the following technical characteristics. 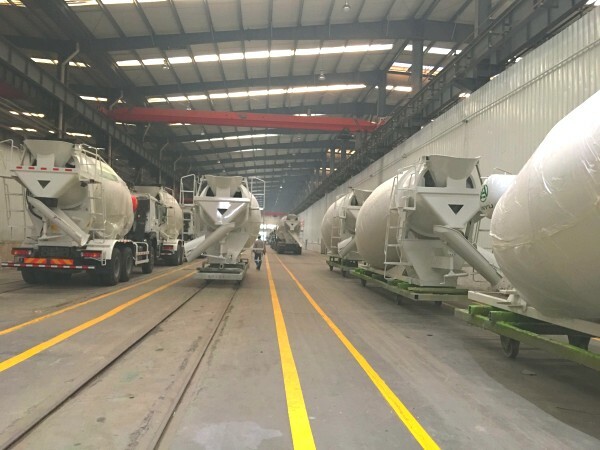 We have unique and advanced devices that ensure the good quality of truck-mounted concrete mixer and the level of production can not be caught up by other manufacturers. 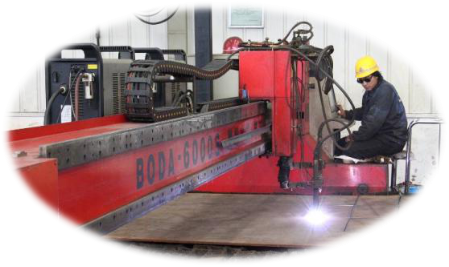 The key parts of truck-mounted concrete mixer for example, the tank body, blade, front and backstage of the new mixer truck are used technology of plasma cutting and technology of numerical control lathe to ensure the accuracy of the blanking. 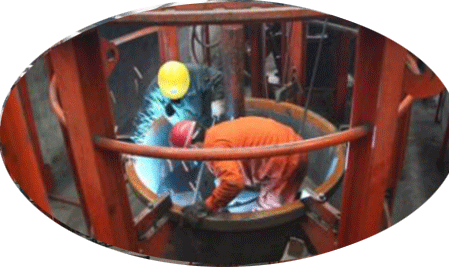 The shell of drum is welded on the special working platform through using special automatic welding equipment. The tank body is fitted with a special fixture, and the only pit center positioning tool in domestic is used to ensure the coaxiality and roundness of the tank. We make use of panasonic automatic protection welding machine. National patent for the center positioning of agitator center: ZL 2008 2 0069837.1. The most effective truck mounted concrete mixers is fully adopted the high-end imported hydraulic system from Germany, Italy and the United States. a. The rear lights of the whole truck mounted concrete mixer is high power working taillights, which can meet the requirements of night construction and can guarantee safety of personnel and vehicles. b. The step plate of truck mounted cement mixer use stamping molding, which has the characteristic of anti-skid and wear-resistant, beautiful and generous; The handrail design is reasonable to facilitate to get in and get out truck safely and practically. 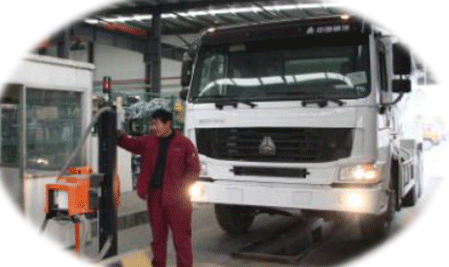 c . The cab of truck mounted concrete mixers is operated with self-locking function to prevent misoperation and improve the safety of vehicle driving. 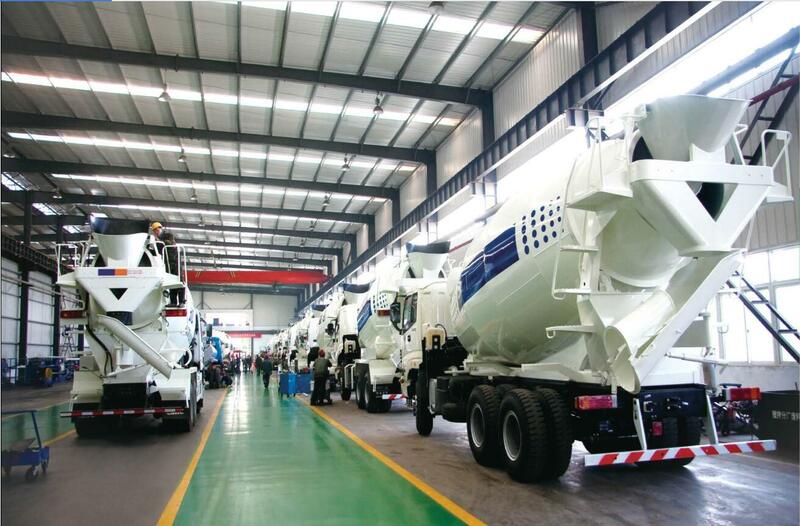 d. Truck mounted concrete mixers for sale can be installed the intelligent devices such as remote control, water metering and tank sealing according to customer demand. We AIMIX GROUP CO,. LTD., as one of the most largest manufacturers in china, have been made great efforts to make our product on the top-class level. And we have serviced amounts of customers and our products have exported to 83 countries and areas. 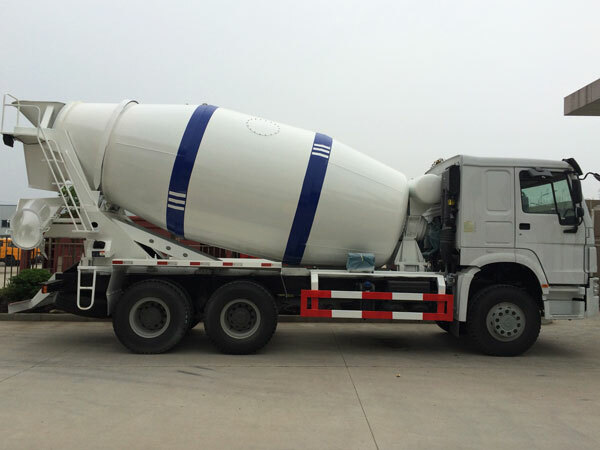 We have high-end production device, professional technology team, and seamless service system, which have made us received reputations in the field of truck mounted cement mixer for sale industry. If you have a requirement of investing truck mounted concrete mixers, you can keep in touch with us by email or leave your contact information on the website. Any problem you want to solve, please contact us any time, we will give you a solution at the first time.